In late 2012, Firaxis Games -known for its work in different games of different sub sagas of Sid Meier - surprised us with a great return of the legendary XCOM, updating this strategy title. XCOM: Enemy Unknown was so well received that the team had quickly put to work and developed an expansion of it, called XCOM: Enemy Within, and debut just over a year later. It has now been a year and a half since long enjoyed this latest title in the series, and Firaxis Games has not been sitting idly. In this E3, we could see what it has to offer the highly anticipated sequel to XCOM, called XCOM 2, which promises to keep working on known, expanding bases with new possibilities and demonstrating that the players have heard all this time. 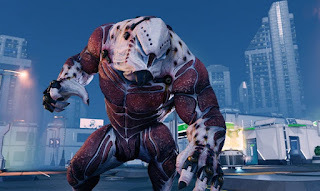 In XCOM 2 which we want to be clear, it has been developed by the same team that developed the originally Firaxis, continues the traditional turn-based strategy very similar to that of its predecessor manner. The sequel takes place 20 years after the date of unification, and now controls a resistance group that after the defeat of the Earth, is forced to repel alien attacks. This means that in this new XCOM the roles are reversed and the organization that defended in the first game is now the invading force. Its components have been weakened, have limited resources and must constantly evade the alien threat on its new mobile headquarters, as if it were a guerrilla. Although it may seem a mere formality story, actually it has more weight than it looks in playable. Now we can use a combination of weapons and stealth tactics to help recruits to build a mobile resistance while trying to expose the alien’s plans and save humanity. Less weapons power, we now have the opportunity to begin unnoticed, especially considering that we did not start detected, and we can try to progress slowly for ambush and start the game with advantage. This adds a new layer of depth to the gameplay mechanics, which further expands the scenarios. The action takes place with a set of boxes in which the environment is key, since tender for that ambush, you need first to study their distribution and enemies in it. We may also use different elements to defend counterattack, but be careful, because the scenarios are destructible and we will go rethinking our strategy on the fly. In XCOM 2 new classes we receive for our team. On the one hand there is the "Ranger", ideal for close combat and the specialist able to hack different items, such as enemy weapons through a drone. The warring factions introduced us to a new type of opponent called Viper, able to catch enemies with his tongue and drain your life in seconds. This served to show that the return of the saga is full of surprises, and Firaxis already passed us who have several trump cards that will gradually revealing. Another interesting possibility is to drag our fallen comrades to safe areas, thus avoiding expose them when they can not move by themselves. This extends even more so the chances of strategy, because one false move can mean not only recover a companion, but also lose another that was fully enabled for battle. All also appears on-screen with ease and showmanship. The graphics, while not a panacea, look great, and have very well integrated into the gameplay where it is used to introduce new characters who join the fray or highlight a particular action sequence. In addition, the scenarios are broken dynamically, and chaos that forms during battle leaves us with a sense of struggle when it ends. This new release is announced only for PC, will include among its new playable levels randomly generated greater support for mods and new content that will be coming to the game after its release, so it seems to be much larger in all respects than its predecessors. For now, the first contact with XCOM 2 has been very positive. That Firaxis is treated with great respect for the series, and is still having many ideas to expand what they did with the first release and expansion. Obviously, it's a game that requires many hours to see what has actually improved, but what we have seen is very promising, and seeing the work that the studio has done so far. XCOM 2 is scheduled for release in November for PC.